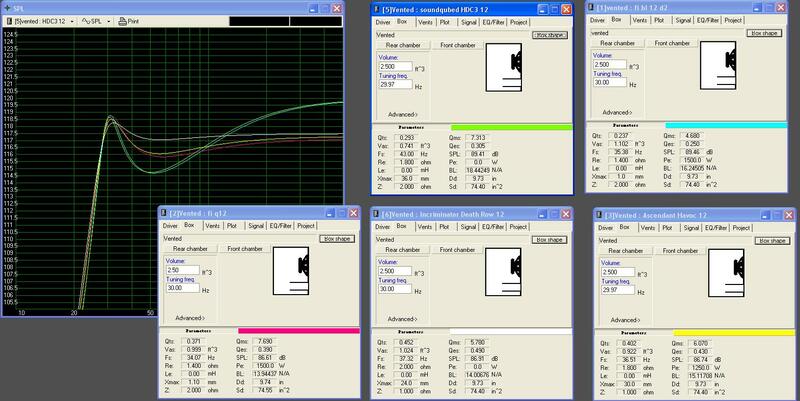 A graph displaying SPL of 5 different woofers in a 2.5 cu ft box tuned to 30hz. All woofers had a 1200w signal applied. Parameters are shown for each woofer in the simulation.